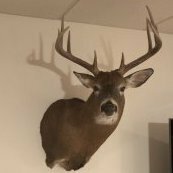 But thanks again to Jason WNY Bowhunter on another great mount. He is a great taxi. Out of wall space - not a problem I was expecting. Going to have to be a whopper going foward. But if I shoot a dandy, I hope Jason will take him in! Nice buck Moog, and good work WNY. Out of wall space? Tough problem to have. I imagine that will be an issue before too long. Where are you going to put your full body strutting tom? Where are you going to put your full body strutting tom? Really not expecting that problem! I could put you on some farm birds in Central VT. Just a short 6 hour drive! 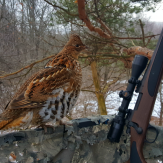 Want me to put you on birds this year? Let me know because I’ll have to buy a bigger blind so we both fit in it. 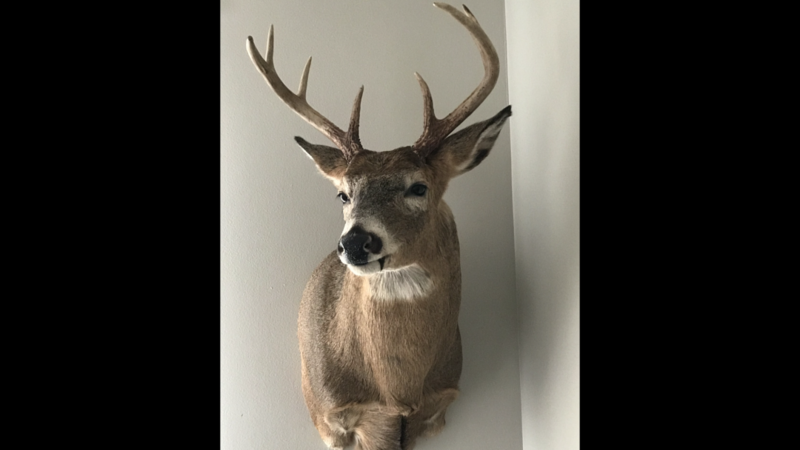 Great buck and gorgeous mount! Jason does amazing work, that’s for sure. 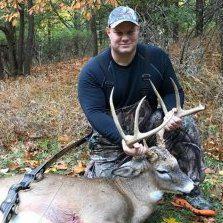 Great buck (love those brow tines)!!!! And as always, Jason did a beautiful mount! I hope that I can kill one really BIG one before hanging up my hunting hat some day. 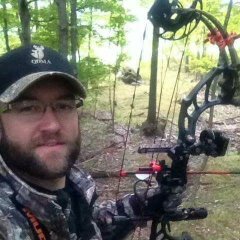 And have WNY Bowhunter do the mount for me. Beautiful Buck Moog and WNY! If your out of wall space that only means one thing. 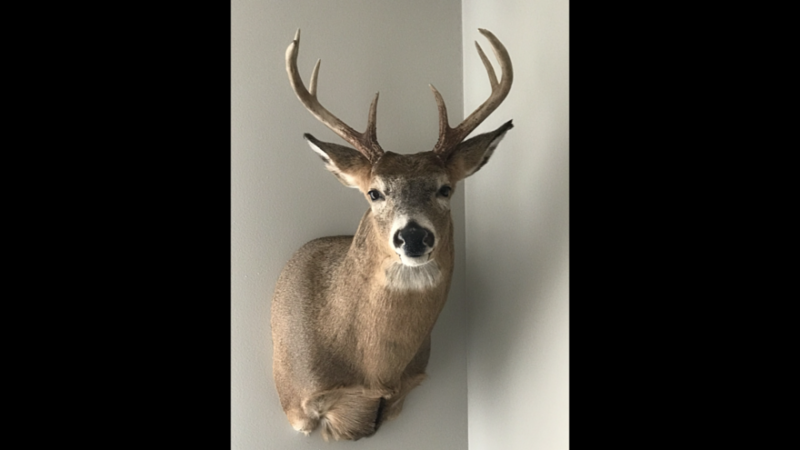 Nice buck ad beautiful mount! Thanks, but don't give him any wild ideas!!! No problem man, glad to help fill up that wall space. I'm sure I will still take some deer in this fall...just not as many as I've been doing. Good luck on that next wall-hanger ! much simpler solution out there....just shoot the little ones. Really looks good! Mounts leaping out of the wall are nice too. better look into full body mounts as a backup but try to talk him into an actual pedestal mount as a first defense. Nice buck. Good mount too. Hate to say as usual but yea. Not a mediocre one posted yet from my view.